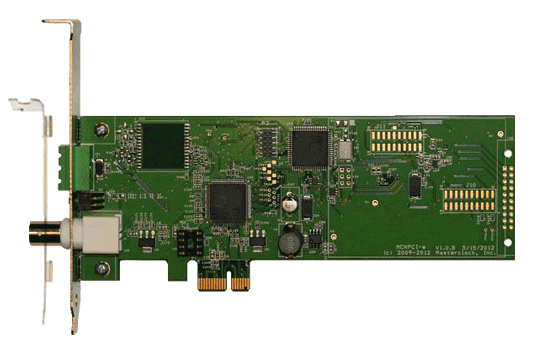 Timing PCI & PCIe Cards - GPS, IRIG-B, SMPTE, OCXO — Masterclock, Inc.
Masterclock manufactures a variety of timing PCI and PCIe cards to provide millisecond synchronization accuracy for your network, server, or PC. Time and date information can be referenced from GPS satellites, a time code source (IRIG-B, SMPTE, EBU), or internally via an on-board crystal oscillator. Software is included. Masterclock offers a 5-year limited warranty for all of its time synchronization products. Click on a unit to learn more.